PS Vita Price Cuts Happening Soon? I think everyone will agree that the PS Vita is an amazing piece of hardware. As one Tapscape reader pointed out, owning a PS Vita is like having a console in your hands; it’s the only device out there that can still give you a console experience without requiring you to be stuck in your living room. Sadly, months after its release, the PS Vita is still finding its footing. The good news is that Sony has big plans brewing for their premiere handheld gaming device. 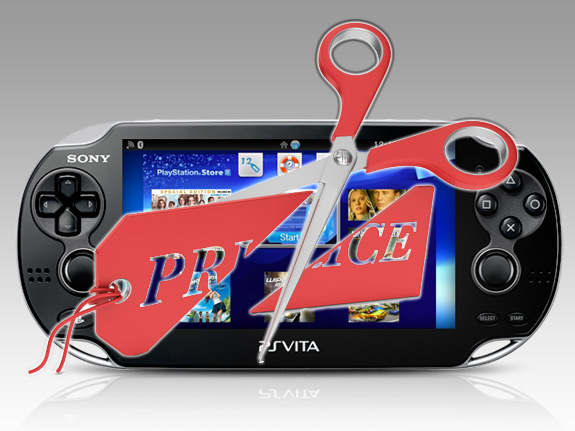 Could a PS Vita price cut be part of it? Sony’s Shuhei Yoshida has admitted that one of the issues they’re seeing with the PS Vita is the lack of third party game developer support. Sony’s already trying to address that by trying to woo more people to develop for their device and using their in0house resources to show the world what the PS Vita is truly capable of. But will that be enough? The PS Vita is trying to compete not only with other handheld gaming devices but also smartphones and tablets These devices are pumping out games like Angry Birds and Plants vs. Zombies which have resonated well with a lot of people. Will a PS Vita price cut get more people to buy the device and change things for Sony? So there you have it. Price cuts will happen eventually but Sony’s already doing things to make the PS Vita a steal by putting together some awesome bundles. If you look at the individual value of the items you’re getting with a bundle, you’re technically already seeing that long awaited PS Vita price cut. And don’t forget all the great new games coming to the PS Vita soon. Do you think your money was well spent on it or do you wish you waited for a PS Vita price cut? Share your thoughts in the comments below!